SMART Mobile – Coming Soon! Very soon, we are planning to release a mobile version of the SMART Authorization Manager, called SMART Mobile. This application has been designed to work with Android devices (> 1.5) but it will work on iPhone and other smartphones too. 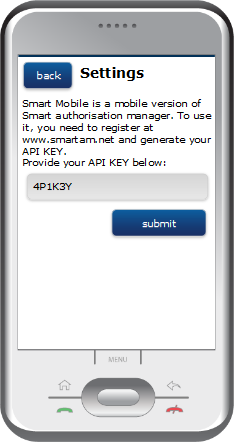 Each app user needs to register at www.smartam.net and generate the API KEY using the provided API. This API KEY has to be then copied to the settings form of SMART Mobile. 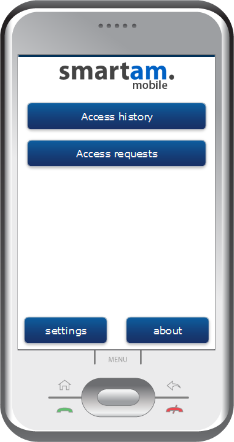 This applications allows the user to view a log of access history and access requests on his or her smartphone. This way as an owner of protected resources, you can always track and have more control of your data on the Web. To obtain an API KEY you need to log into your account at www.smartam.net. Go to an account page, and generate your API KEY. History log is a list enabling you to see who accessed your resources and when. This way you are given even more control over protection of your resources and you are always able to follow what happens to your data. 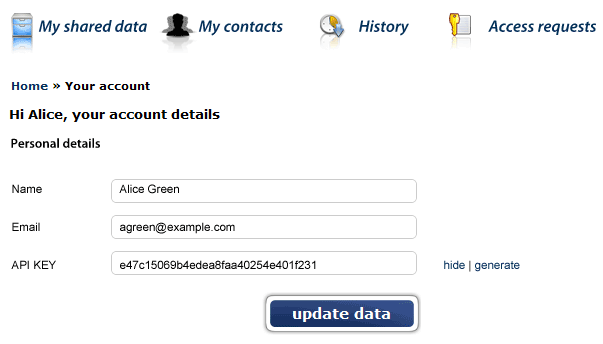 The other feature – Access requests – is a list of notifications from your friends who have heard about your data (e.g. newly uploaded photos) and have sent you a request to be able to access this data. You can then easily grant access to the requested data (according to your preferences!) instantly as this feature is located in the sidebar on almost all the pages of SMARTAM. This way you will be always sure that you didn’t missed anybody while setting security and privacy settings for your resources! Read more to see example screenshots! The User Experience study that the team has recently begun aims to achieve few things. We want to see how average Web users perceive UMA itself and if they are willing to use a new system for access management of their Web resources. Moreover, we want to know what users expect from such a system in terms of its functionality. However, what is most important, we want to know user’s expectations in terms of the system’s usability. Yes, usability is the key. We’ve already seen various functional and extremelly flexible solutions to access control (for Web resources). But combining flexibility with usability is not always easy. Our team tends to have lots of really good ideas when developing software for UMA, but it’s always the user who picks which ones of these ideas are actually worth pursuing. 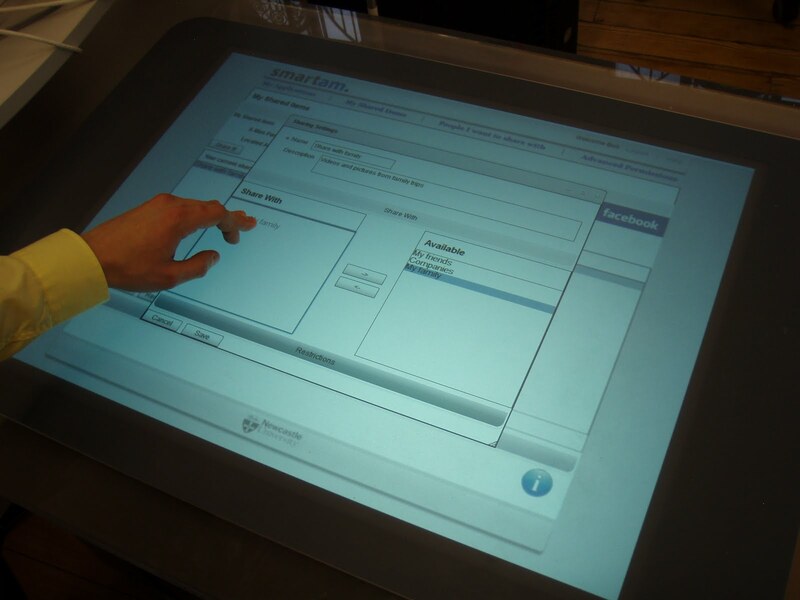 Today, we had a chance to test our prototype Authorization Manager using Microsoft Surface. Yes, that’s right – we used it to define sharing settings for Web resources;) Microsoft Surface allows to use the NUI – Natural User Interface where users interact with the machine by touching or dragging their fingertips and objects across the screen, or by placing and moving these placed objects. The SMART project has implemented a fully functional prototype software for the UMA protocol. We have developed the Authorization Manager (smartam), two exemplar Hosts (smartgallery and smartfs) and a Requester Web application (smartfetch). We’ve developed all the applications in Java with the use of such frameworks as Spring, Spring MVC, Apache CXF, Hibernate, and others. Our prototype AM and Hosts can be used by the Authorizing User and the Requester can be used by Requesting Parties. If you feel like you’re not familiar with this terminology or you’re not sure about the purpose of each component of the UMA eco-system then definitely check out the UMA 1.0 Core Protocol specification.